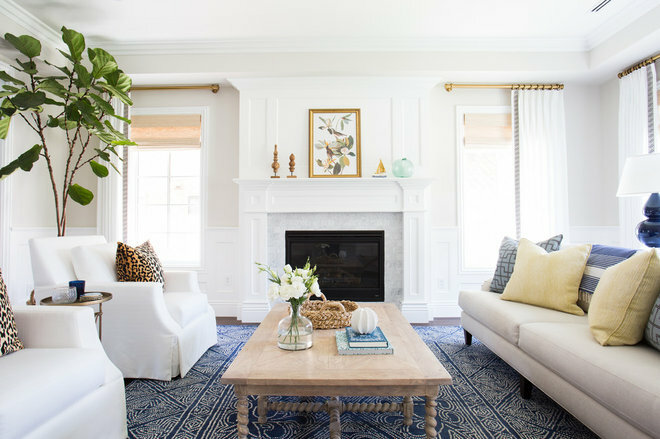 With lengthening days and milder temperatures in many parts of the country, April is a wonderful time to freshen up the home inside and out. 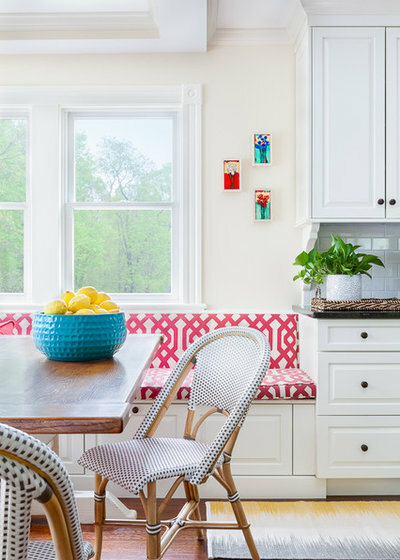 To get sparkling windows, a clutter-free garage and more, here are 14 tasks to make the most of the first full month of spring. Test sprinklers and irrigation system. Don’t let the first sign of a malfunctioning irrigation system be a drooping garden! Take the time this month to test each part, and adjust or repair as needed. And if you don’t already have drip irrigation for your garden, consider having it put in — a properly installed system can save time and water. Keep mosquitoes at bay. Having warmer weather and longer days means we’re entering mosquito season. Take preventative measures by regularly checking your property for standing water and emptying it. Any open containers (empty flowerpots and saucers, a wheelbarrow) can become mosquito breeding grounds when filled with rainwater, so store items like these upside down or in a shed. 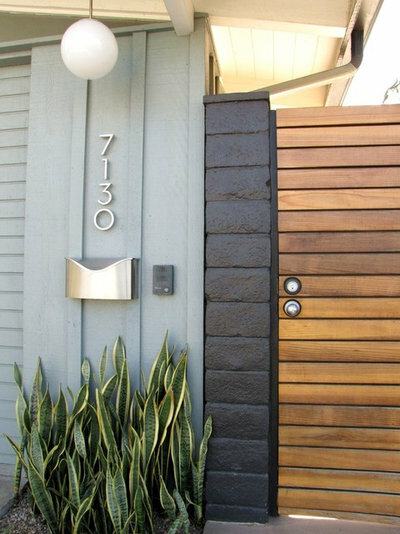 Boost curb appeal. 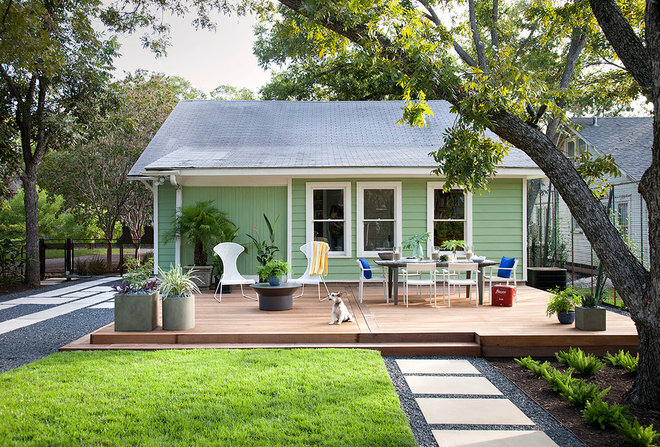 Spring is a wonderful time to make upgrades to your home’s exterior, and even small changes — like putting up bold house numbers and a shiny new mailbox — can make a big impact. 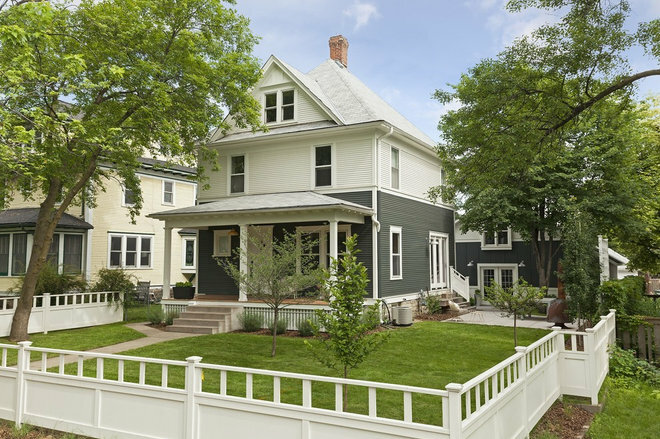 If you’re planning to put your house on the market this spring, increasing curb appeal can help lure in potential buyers, making it especially important. 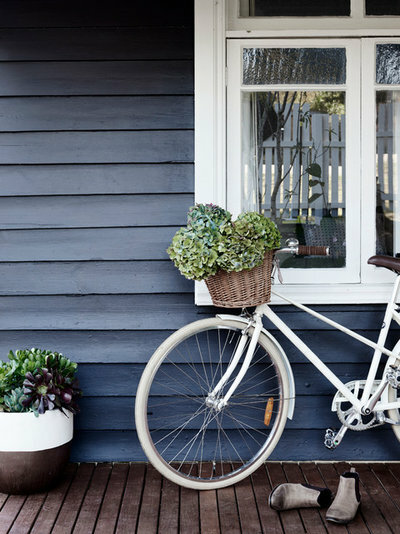 Spruce up the front porch. Clean the porch floor, exterior windows, windowsills and front door. Wipe cobwebs from the ceiling and high corners. Lay down a fresh doormat, and plant a pot of flowers. If you have porch furniture, clean it off and wash the cushions. Inspect paths and driveway. Repeated freezing and thawing can take a toll on asphalt and concrete. Check your driveway and paths for cracks, scheduling repairs as needed. Wash windows. Welcome the spring sunshine by clearing dirt and grime from windows inside and out. After cleaning the glass, take an extra moment to wipe the window frame and sill. Clean and inspect screen doors and windows. Pollen and grime can also build up on window screens, so it’s a good idea to clean them once a year. For a quick cleaning, leave screens in place and vacuum with a dusting attachment. For a deeper cleaning, remove screens (mark which is which if cleaning multiple windows) and gently scrub with warm, soapy water. Rinse and let dry. Before putting up window screens and screen doors, inspect each one for holes and rips — even small tears can let in mosquitoes! If you find any holes, repair them with a screen patch kit (available at most hardware stores). Clear clutter. Create more space in your home by clearing out unloved items. If you have a lot to get rid of, set a date to hold a yard sale. Or contact a local charity to schedule a pickup — some will send a truck free of charge if you’re donating large items like furniture. If you have a lot of one type of item (for example, books or baby clothes), look for a consignment shop in your town where you may be able to sell them. Schedule cooling-system maintenance. If you have central air conditioning, be sure to schedule professional maintenance before the start of summer. A properly maintained system cools better, uses less energy and lasts longer. 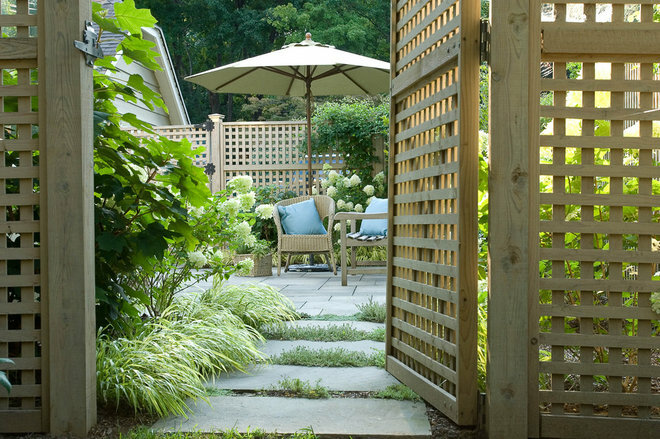 Maintain wood decks and fences. Keep outdoor woodwork in top shape by staining or resealing it each spring. Check gates, fencing, decks, railings, pergolas and other outdoor structures, and make repairs as needed. Keep an eye out for termites. From now through May or June, be on the lookout for these winged insects. “Termites swarm in the spring,” says Victor Sedinger, certified home inspector and owner of House Exam Inspection and Consulting. “If there’s a bunch of winged insects flying out of a hole in the woodwork, that’s probably termites.” If you notice any, call a licensed professional pest-control company. Clean out the garage. Can you park your car in your garage? If not (or if it’s a tight fit), it may be time to make some more space. Clear out the junk, and schedule time to take unused paint, motor oil and other hazardous items to a recycling center that accepts them. (If you’re not sure where to go, search Earth911 to find a center near you.) 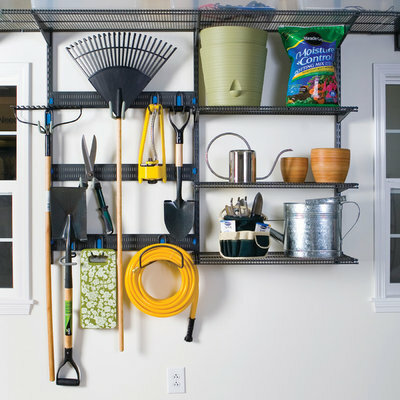 Once your garage is cleaned out, consider adding wall-mounted storage to keep things neat and off the floor. Wash siding. Using a regular garden hose, attach a siding cleaning kit (available at most home improvement stores) to clear away winter grime from your home’s siding. If your siding could use a really deep cleaning, it can be tempting to use a pressure washer to get the job done quickly. But if you do, use it with care: Consumer Reports advises avoiding any pressure washer that comes with a 0-degree nozzle, because it can be too dangerous (to you and your house) and wider nozzles can get the job done just as well. Clean gutters and downspouts. Having your home’s gutters and downspouts cleaned (and repaired if necessary) is one of the first important tasks to schedule this season. Clogged gutters during a rainy spring can cause water to pool, potentially damaging the roof and siding.